Sehr gute Lötbarkeit, Zugentlastung mit Klemme. ACPR-Black, RCA Plug, Diecast Shell, Gold plated contacts, Coloured finish, Flexible coloured grommet. 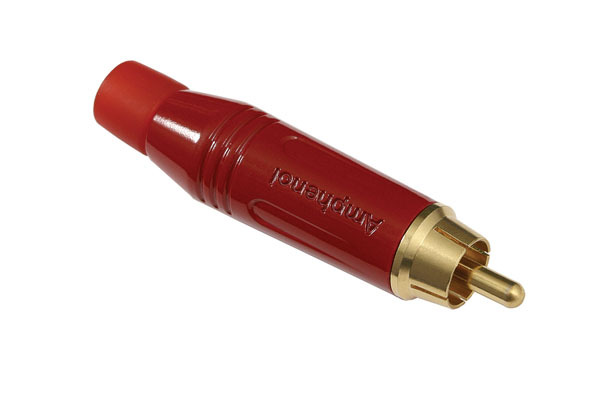 ACPR-Red, RCA Plug, Diecast Shell, Gold plated contacts, Coloured finish, Flexible coloured grommet. 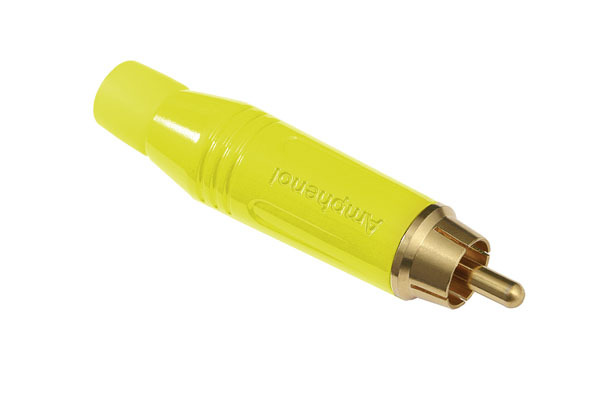 ACPR-Yellow, RCA Plug, Diecast Shell, Gold plated contacts, Coloured finish, Flexible coloured grommet. ACPR-White, RCA Plug, Diecast Shell, Gold plated contacts, Coloured finish, Flexible coloured grommet. ACPR-Blue, RCA Plug, Diecast Shell, Gold plated contacts, Coloured finish, Flexible coloured grommet. ACPR-Green, RCA Plug, Diecast Shell, Gold plated contacts, Coloured finish, Flexible coloured grommet. Amphenol’s plugs and sockets range continually expands to meet the needs of our customers. The success of the M-Series phone plugs led to the RCA series being developed. NOTE: These images are for colour references only. Actual colour may vary. For exact colours, please contact your sales representative.